“Last week we, Wild Horse Freedom Federation (WHFF), stood before the advocacy and shoulder to shoulder with organizations such as the Cloud Foundation, Equine Welfare Alliance, HSUS and others at the International Equine Conference and stressed the need for legitimate equine welfare organizations to come together and work as one in solving the issues revolving around the safety and future well being of our nation’s equines. The operative word in that statement was, and still is, ‘LEGITIMATE‘. And what does legitimate mean? It means that a non-profit organization is first off registered and incorporated in it’s state of origin, WITH a verifiable physical address. Secondly, to be tax deductible it needs to be registered with the Federal Government so that it gains the status such as a 501(c)3 which WHFF holds. And finally, it needs to be registered with the Secretary of State in the states where it solicits funds from which WHFF is registered, at great effort and expense, in all 50 states. Here on Facebook we often see a heart rending picture flashed up followed immediately by a plea for money, let the donor beware; there are those out there that live exclusively on your donated dollar versus using the money for it’s intended good. Make sure your hard earned dollar goes to those who are transparent and have earned a high Guidestar rating. You and the horses deserve nothing less than the very best. This article, below, brings to light the darkness that lurks out there on the internet and here on Facebook…please proceed with caution and care. Be safe and keep the faith.” ~ R.T.
Mississippi Secretary of State Delbert Hosemann is not feeling real charitable toward Bit by Bit Equine, and he is warning Mississippians not to get in the saddle with the Pearl-based charity. Correct me if I’m wrong but doesn’t the rules of 501(c)3 forbid getting involved with lobbying, court cases…etc? I’m wondering about 501(c)4? HELP! 20% of time and money for a 3. EWA is a 501(c)4 for just that very reason. Makes you kind of wonder about those Horse-Eater orgs, doesn’t it? In indiana and illimois there is a floating rescue unregistered and people donate because they like the owners and what they appear to do. We chased it out of our county but many people were upset we chased them out until Ambucs found out they were getting resdy to contribute to an unregistered, illegit rescue posing as a therapy program. They fully were endorsed by retired doctors, teachers, successful businessmen but when i walked into their fundraiser and saw starved horses in stalls for sale to the public. I know rescues get the animals healthy then adopt them, not buy from auctions and sell in bad condition for profit. The retirex doctor didnt notice hip tags on the office waste can or ignored it. I demanded their non profit number, nothing, their therapy program certificate and or license to opporate. Nothing wS produced, i went back next morning with animal control and the law enforcement to find an empty barn and a stunned doctor who replied they moved out without paying me for the rent and the barns a wreck. He said they were donated over 23,000. This floating operation still has a following, rumored to relocate quickly leaving animals behind, it Still gets supporters. Sad. BEWARE of two agencies operating in Canada that “rescue horses out of the kill pens” which no proof exists or receipts… I advocate donating in our own back yard to stop the shipping of local horses. Once the gate is closed – people forget. Interesting. I’m not donating to anything right now. Charity begins at home, then of there is anything left, we help others. I have a full plate. Until they pass the SAFE ACT I’m not spouting horses out either. Sure wish everybody would get on the same page. Terri – I’m not sure where that part about “charity begins at home” comes from, but I do remember the one of “it’s better to give than receive!” And the more you give…the more that comes back to you. 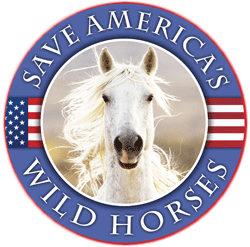 The horses didn’t ASK for this situation, humans have CAUSED the problems, and I’m more than willing to find ways to help OUR WILD HORSES in my budget. Amazingly enough, the more I give the more I find coming back to me! Ain’t it grand?! Blessed Be! When you give to animals and organizations in your own back yard, you have the benefit of being able to see your dollars at work. Also, it is much easier to donate old towels, oupons, and time. We also have more control to influence local farm and land use problems. Nonetheless, issues like horse slaughter and what will happen to our national icons, our wild horses and burros are complex issues and currently managed under federal and international law, although very few people understand this. For example, under the WTO it appears to me that it is the importing country that bears the responsibility for the safety of the goods that are imported into it. Therefore, it would seem like it would be unenthical to sell contaminated meat, but I am not sure whether the U.S.D.A. is legally bound to make sure that the meat is safe if the majority of it is to be exported. Our wild horses and burros are also being managed as an invasive species under invasive species laws derived from international law. I am not sure that the mechanism is constitutional. I am in the process of reporting a horse rescue that took a volume of money from me, I am out raged about the way she is doing business in the name of horse rescue. My lawyer stated to me to contact the State Attorney General of New Jersey. I will be doing this asap. Yes, we all have to be aware of false people that profit on our money and they make it a booming business at the expense of a caring person trying to help. I will let you know more about this. I will take her all the way to the Supreme Court if I have to. She does not deserve to be in the horse rescue business period. The Lord giveth, the Lord take away. She will be very sorry that she dealt the wrong deck of cards and I will not tolerate ever the nasty and greedy responses she displays because she thinks everyone owes her something, $$$$$$$$$$$$$$. I cannot disclose her name at this point or her horse rescue but it will be blown out of the water soon. 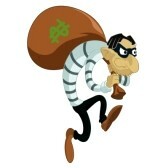 Criminals don’t care as long as they continue to hurt others and take from you.